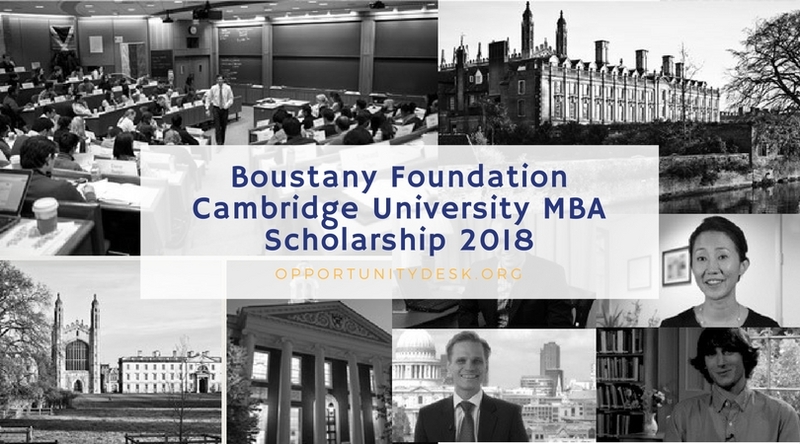 Applications are now open for the Boustany Cambridge University MBA Scholarship. The Cambridge MBA is one of the world’s leading business programmes, taught at one of the world’s most prestigious universities. Scholarship recipients become members of Pembroke College, the third oldest and one of the most highly regarded colleges. The Cambridge MBA is a 12-month programme covering the full range of general management issues relevant to contemporary business practice. As well as providing you with a thorough grounding in the business essentials, we also allow you to develop areas of special interest through project work and electives. The Boustany MBA Cambridge Scholarship is granted once every two years for a one year course at Cambridge University, Judge Business School. The next Scholarship will be awarded for the class commencing Autumn 2018. Candidates of all nationalities can apply to the Boustany Scholarship, although a priority is given to nationals of Lebanese descent. Deadline for the submission of candidacy: 15th May 2018. The Scholarship will be awarded during the month of June 2018. For more information, visit Cambridge University MBA Scholarship.